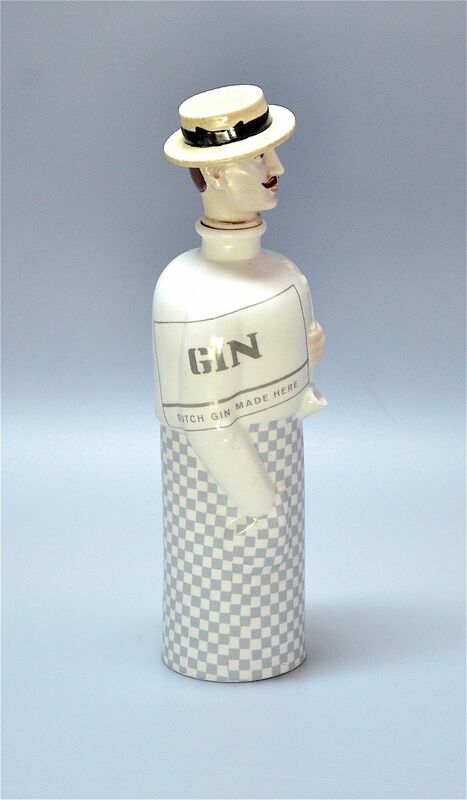 This wonderful ceramic gin bottle was made by the Spanish company Hispanic Ceramics. 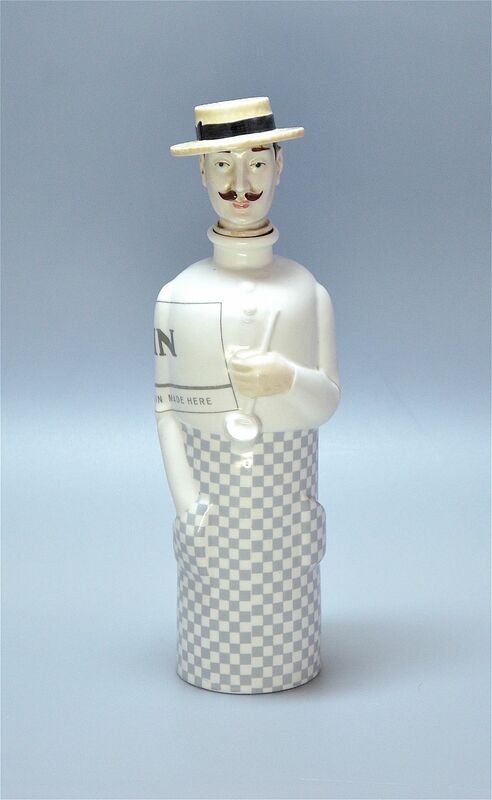 It is modelled as a waiter. 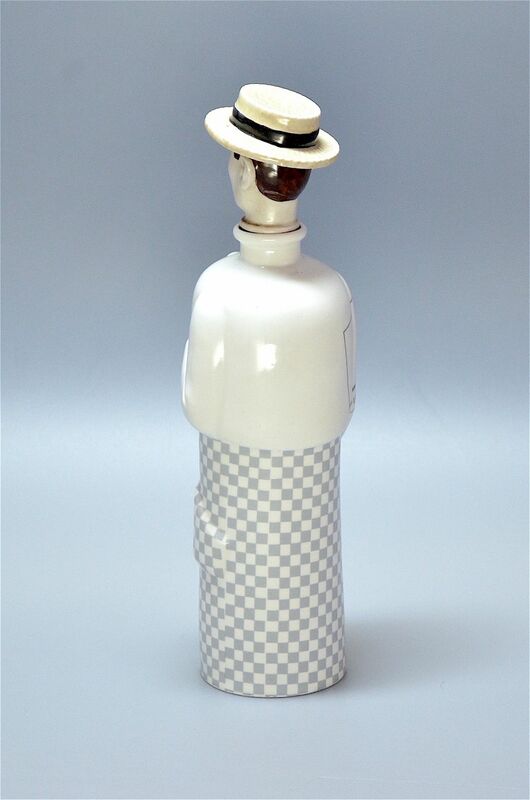 The stopper is the waiter's head - he sports a straw boater brown hair, a brown "Poirot" style moustache and a haughty look! The bottle section is his body. He has a white coat, in one hand he holds a ladle and the other is stuffed into the pocket of his blue/grey & white checkered apron. 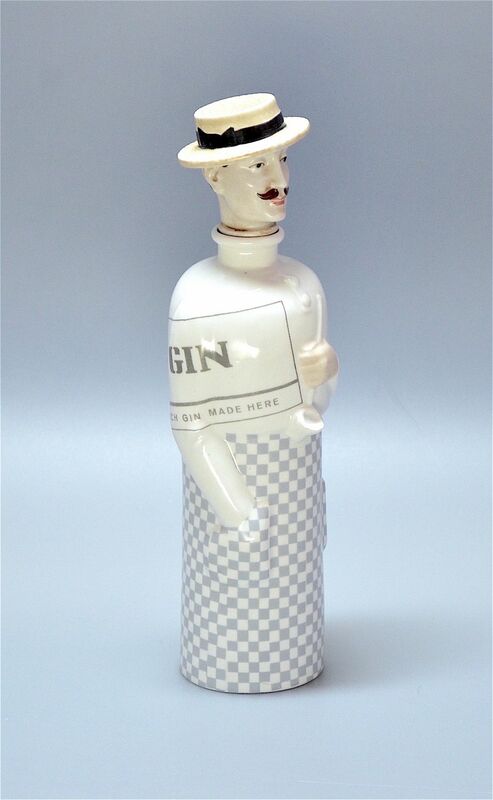 Across his right side/shoulder is a rectangular grey edged cartouche inside which are the words "Dutch Gin Made Here". 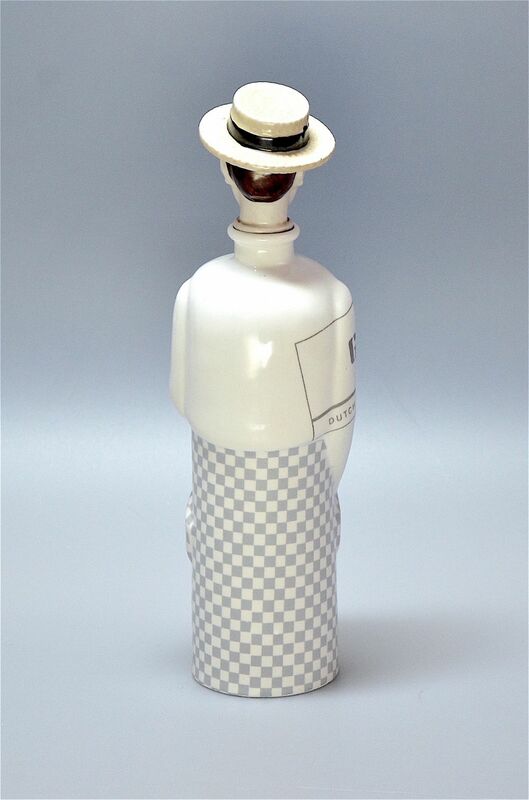 The stopper has a cork covered base. The base is signed "CH Hispania". In terms of date it was made between 1941 and 1980 but I suspect that it was made towards the end of that period. I presume that as the stopper has a cork covering it was sold with gin in it or was made as advertising material for a gin company. Unfortunately it is empty - if it was sold with gin that has been long since drunk! Hispania was an actual company and not a brand. Founded in 1941 it was associated with the Lladró brothers in the 1940s - they sold their products and Hispania products in their first shop. The Hispania company was most known for its production of earthenwares and majolica, primarily decorative items such as vases, frames, planters.